December 9: 5 POWER Lessons From 5 Leaders Who Made History On This DAY! Struggles are a part of everyone's life and we all do have to move on, to be able to succeed in life. Moving ahead surely needs a lot inspiration and hence, we bring to you abundance of inspiration from these 5 leaders born this day, whose lives' lessons are sure to make you a better person from now! 1. Success isn’t given; it’s earned, in exchange for hard work and belief. It might take too long and too many struggles to face, but is worth it! 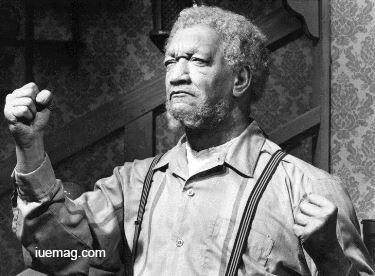 John Elroy Sanford, well known as Redd Foxx, comedian and actor best known for his role on the 1970s sitcom Sanford and Son, was also one of the first black comics to play to white audiences on the Las Vegas Strip. Leaving home at the age of 13 to become a performer, it was not easy for him to let go off his sorrows and work towards pursuing his dreams. He began his career in various musical groups, including the Bon-Bons. He worked as a comedian at every nightclub he could as he developed his style during the early 1940s. There were times when he had to manage to work in multiple places on the same day and without much sleep, but he very well knew that it would someday give him the results he needed. He slowly began to draw larger audiences to his shows and sold a large number of comedy albums. His audience was still largely African-American men, but his comedies slowly began to reach people from all walks of life. He became a household name after he got the movie role in the film Cotton Comes to Harlem in 1970. Very soon, Foxx was signed to a long-term contract and released a series of comedy albums that quickly became everyone’s favourites. Known as the king of the party records, he has performed on over 50 records in his lifetime. He also starred in ‘Sanford’, ‘The Redd Foxx Show’ and ‘The Royal Family’. His film roles included ‘All the Fine Young Cannibals’ and ‘Harlem Nights’. 2. When your fear your struggles, your struggles consume you. When you face the struggles, you overcome them. Fear is only temporary. 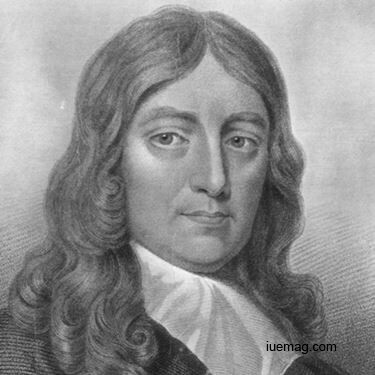 John Milton, English poet, pamphleteer, and historian, is best known for writing "Paradise Lost," widely regarded as the greatest epic poem in English, graduated from Christ’s College, Cambridge, where he began to write poetry in Latin, Italian, and English. Although he needed inputs to make his poetry better, he was unable to find someone that could help him grow in the field of poetry. It was after university that he spent the next six years in Buckinghamshire following an independent rigorous study to prepare for a career as a poet. He began to research about various poets and learn from numerous of poems of many languages. These years taught him not just better poetry, but to be able lead a life of independence. Sometimes, all that one needs to do at such times is to accept it and learn to be a fighter. 3. When people underestimate you, there’s a power in you to prove they are wrong. Not to prove them, but to prove yourself. 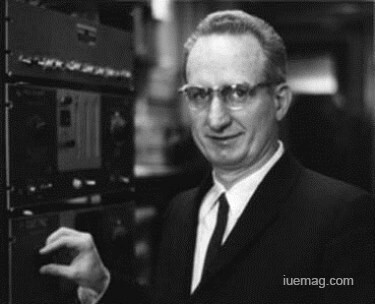 He studied under such luminaries of the world of physics like Enrico Fermi, John Dunning and Edward Teller during his time at Columbia University, where he was also the part of the Manhattan Project that was launched in 1942, that led to the development of first atomic bombs. Apart from his work on the atomic nuclei, his studies also contributed to the scientific understanding of X-rays. He also won the Ernest Orlando Lawrence Awards in 1963. He proves through his inventions that not everyone is right at all times and that sometimes, we all need to take a stand for ourselves and validate our thoughts. 4. The universe shall align it for you; all that it takes to succeed, is to believe in your vision. 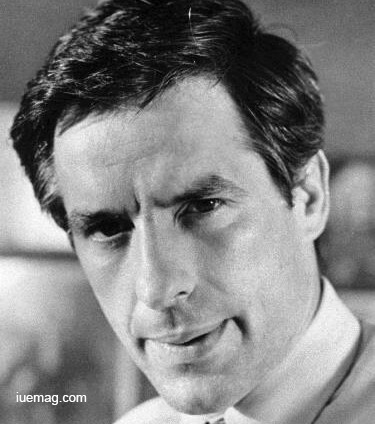 John Cassavetes, one of the most influential American directors of the 20th century, commended as a pioneer of independent cinema, he is the subject of several studies and biographies. It was in 1956 that he began to teach method acting in Manhattan at a drama workshop. He thought that one of the batch’s improvisations had the makings of a filed and shared about the project on the ‘Night People’ radio show. His suggestion for the listeners to fund the project if interested to see an alternative Hollywood cinema, attracted the audience to send donations that totalled around $20,000. Along with the funds, his savings, and with the help of funds from his friends, he commenced his first film, ‘Shadows,’ that changed the landscape of American cinema. Actors improvised within loosely defined situations and the story evolved as the shooting progressed. John Cassavetes was the originator of American independent film. A former theatre actor fascinated by the power of improvisation, Cassavetes brought his search for truth in performance to the screen. 5. Patience never fails to help you become successful. You might go through years of struggle, but that is only the testing phase. The good days are sure to come! It was after twenty-one years working as an itinerant peddler and a shopkeeper, Marcuss Goldman, carved out a niche for himself in commercial promissory notes forming, which eventually became Goldman, Sachs & Co. He introduced the use of commercial paper transactions, making them quicker and more efficient. From the very initial days, he was able to singlehandedly transact as much as $5 million worth of commercial paper a year. Though the bank stayed small during Goldman’s lifetime, the foundation was what turned Goldman Sachs into the powerhouse it is. Goldman had his opportunity with the financial panic of 1873, which led to a flow of investments from railroad stocks to jewellery, a business that Goldman knew intimately. 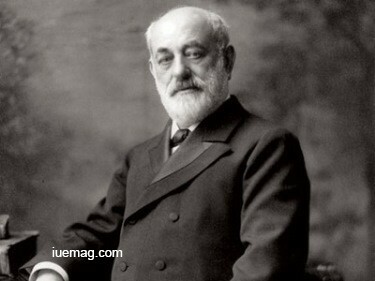 By 1882, his business was turning over $30 million a year, which was the result of his foundation – patience and belief for twenty one long years. While all of us are striving very hard to achieve our goals, we might have forgotten the basic but the most important lessons to be remembered during the journey to reach those goals. We hope these lessons have reinforced back the foundations needed for a kick-start of a better journey. Good luck! Any facts, figures or references stated here are made by the author & don't reflect the endorsement of iU at all times unless otherwise drafted by official staff at iU. This article was first published here on 9th December 2016.